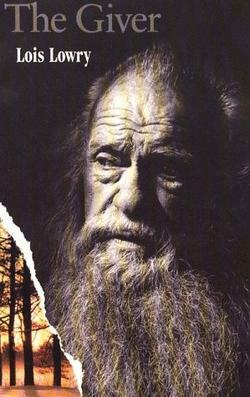 [img]http://lib.rus.ec/sites/default/files/335.png[/img][b]1994[/b]Featuring photographic artwork from the feature film on the cover, this handsome edition of The Giver is perfect for fans of the movie and the literary classic. Lois Lowry’s 1994 Newbery Medal–winning tale has become one of the most influential novels of our time. The haunting story centers on Jonas who lives in a seemingly ideal, if colorless, world of conformity and contentment. Not until he is given his life assignment as the Receiver of Memory does he begin to understand the dark, complex secrets behind his fragile community. Lois Lowry has written three companion novels to The Giver, including Gathering Blue, Messenger, and Son. Хорошая книга. На один раз. Читается легко, для моего уровня где-то между pre-ibtermediate и intermediate самое то.